It’s not only Charlie that’s on the top list of viral videos. There’s the keyboard cat and its many reincarnations too. But then, right alongside them are videos that truly deserve to go viral for our own sake. Watch Invisible Children and agree with me. If you don’t, watch Evolution of Dance and hope along with me that viral videos mean more than cats and cute babies. But the latter are fun too. Viral videos are accidents. I don’t think they can be created deliberately, though I am sure people try. A video going viral can launch careers and give someone their 5 minutes of YouTube fame. So, how do you catch the best ones before they happen or as they are happening? Keep tabs on these seven viral video sites to watch what’s buzzing right now. 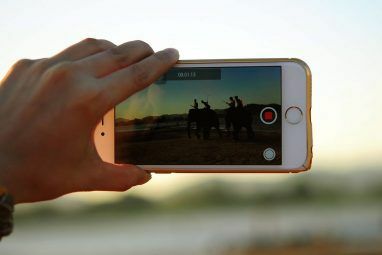 When we think of viral videos, it’s usually YouTube YouTube Reveals Most Watched Videos For 2011 On YouTube Rewind [News] YouTube Reveals Most Watched Videos For 2011 On YouTube Rewind [News] 2011 is drawing to a close, and many sites such as Twitter and Facebook are introducing their top stories of the year. In the spirit, YouTube has released YouTube Rewind, a recap in YouTube videos... Read More we have in mind. That’s not unusual for it is the Big Dog out there. To be on the YouTube Charts is a fair signal that the video is on a home run and is viral or is going to be very soon. Just like YouTube, the chart also geo-locates you and shows what’s on top in terms of localized videos. You have to go to the foot of the page and change the country. Preferably, set it to “Worldwide”. As shown in the screenshot, YouTube Charts has a few filters which give you different ways to see the popular videos. You can also set the time range. PopScreen is a very nicely designed streaming video site. It says it is the world’s first video prediction engine. It helps you discover videos that are trending and will go viral across the world, and get the scoop before others. It is also a video bookmarking service with which you can save your favorite videos as bookmarks to watch later. 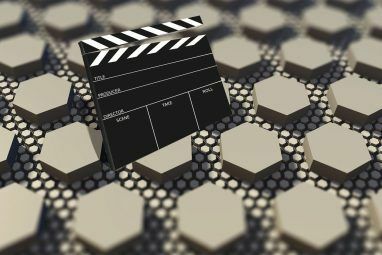 The site indexes nearly 15000 videos per day from sources like YouTube, Vimeo, DailyMotion, Revision3, and FunnyOrDie among many more. PopScreen cuts out the duplicates and displays them for you across selective channels. It rates videos with a PopScore. Also, catch videos on the Pop Charts which is a curated list of popular videos. 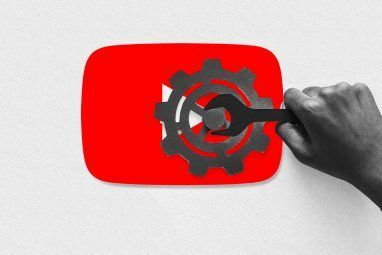 If it’s funny and humorous videos that make the “viral” grade more frequently, then Break.com could be worth a bookmark for checking out soon-to-be viral videos. The site selects the best comedy videos from around the web. There are also games and pictures thrown into the mix. But we look into the Top Videos section to see the ones on the cusp of a viral surge. The other purely comedic video channel I can recommend is Funny Or Die where you can filter by “Most Buzz”, “Most Viewed”, “Most Favorited”, and “Highest Rated”. Zoofs gathers the most Tweeted videos and discovers them for you. The best thing is that despite the Twittersphere being vast, Zoofs neatly places all the viral videos in categories. You can also filter by language. The collection is vast, as the figure at the bottom will tell you. During the time of this article Zoofs displayed 759,413 videos from 27,398,747 tweets. If Zoofs does not do it for you, Zocial TV certainly might. Like Zoofs, Zocial TV picks up videos from Twitter, but it also dives into Facebook and gives you the most shared videos by categories. Devour is a bit different from the straight-cut viral video websites. Devour curates its list very carefully and tries to assemble the best in terms of content quality and presents them to you. As it says on the site – Fewer cute kittens, fewer nutshots, fewer laughing babies, and lots more awesome. The interface is clean and uncluttered. Also, most of the videos are in HD. You can watch the popular videos or surf them randomly. The tagline for the site says – the hottest, most social content on the web. Go to What’s Hot – Viral on the web. The site tracks content (not only videos) that are about to go viral. You have to dig a bit, but viral videos are clearly marked. The links are user-contributed but are also moderated by the staff. Buzzfeed not only looks at videos but at every other detail that makes up our subculture. The site is like an alternate Digg. With these seven sites and the five viral video aggregators, I have tried to present varied ways you can catch the trending stuff around the web. What’s your way? Are you a viral video addict who doesn’t hesitate to press the ‘Share’ button when you see something you like? Do you go with the flow or use a site like the ones here to look at viral videos that are a rage on the web? Do tell. Explore more about: Online Video, Web Trends, YouTube. Hey I love to watch video which is viral worldwide...specially funny one. I am big fan of buzzfeed. Also mainly I visit youtube but recently I have gone through new website GoViralstuff.com which is also cool. I like KidChronic.com its a dope site for viral videos!!! One of the best for Viral videos and content delivers more than just video. Viralcation is one of my favorites even though it's new, there's really fresh stuff on there! The recent op ed re ad-blocking is undermined by the devious use of a "Download>>" button which only redirects you to "alwaysdownloads.com" which is a poor example of a website aggregating software that is offered "free" elsewhere and using said software to collect data for ad distribution. This is the stuff that will kill many sites for users. It's a no-brainer. what about wimp.com? not quite so many at once - still random, interesting and easily shared. Sometimes we miss the straight lists because of the thumbnail ones don't we :) Thanks for the link. I think the old Youtube design was the best. A wonderful community of video sifters / aggregators.